You still have questions about our products? Perhaps you'll find the right answers on this site. If not, send us a mail and we'll get in touch as soon as possible. Can I also travel with this case? 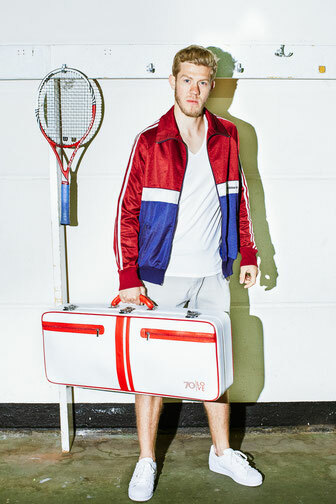 You can use our tennis case for many things you want to transport stylishly from A to B. But please bear in mind that the case is constructed for sports luggage and not for bricks or similarly heavy items! How can I clean the case? With mild soap and warm water you can wash pretty much any day-to-day dirt from the easy-care outer material (PVC). Please don't use any harsh detergents, abrasive cleaners or hard cleaning brushes. Is the case water resistant? Can I take the case as hand luggage on a plane? The case does not comply with the internationally valid measurements for hand luggage, so we can't guarantee that you can take it. What else do your customers use the case for? Naturally many kinds of sport are imaginable, such as badminton, squash,… though we have also heard of customers, who use our tennis case for a violin, their weekend trip or for a pick nick.